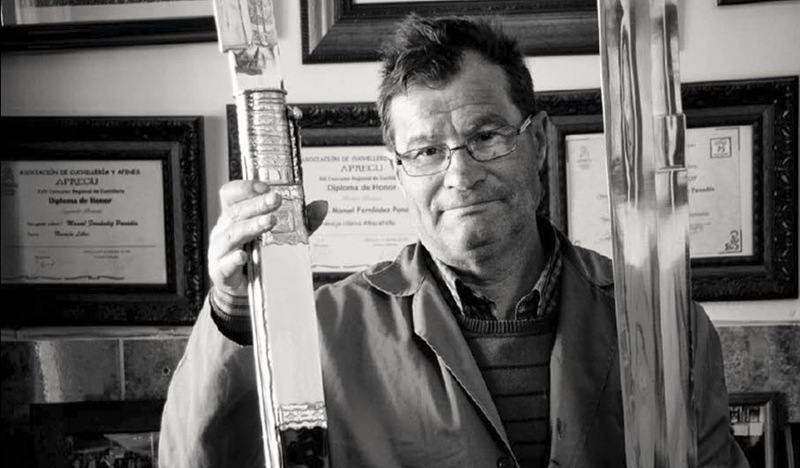 Manuel Fernández Panadés, the third generation of this family of cutlers, had a stormy beginning as his craftwork legacy did not imply having his livelihood solved and he had to juggle it with some other activities. His hilts brandish all kinds of materials where woods, turtle or armadillo shells, horns of all kinds of mountain and jungle mammals, are shaped creating each, exclusive, different and unique, piece. This singularity is a hallmark in craftwork, where hand making does not know about mass production; and it is essential concerning Manuel, as most of his production is claimed by collectors. 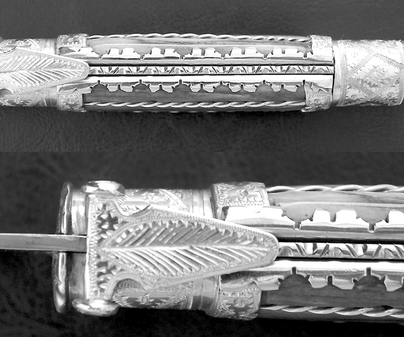 He is convinced of the role that Albacete must play within the cutlery world, which is the place indicated on its own merits, know-how and hand making; it only needs promotion and in order to achieve this, the region should be present at international fairs and events to be placed at the zenith of the cutlery reputation. Download travel guideManuel Fernández Panadés. Cutler.